Gouda cheese is not just really tasty, it also has a rich history! For centuries, these cheeses were traded in the city they were named after: Gouda. But the actual production process took place in the surrounding polders: Cheese Valley. Join us on a cycling tour to Woerden - come, see and taste the long history of Gouda cheese making! We start this bike tour in the historic old town of Gouda. Situated at a strategic point in the middle of Holland this city became rich because of all the naval traffic passing through its narrow harbours. Leaving Gouda behind, our journey goes through the gorgeous lake district of Reeuwijk. Once this was a mining area for peat, but now you will now find a breath-taking natural reserve with a rich diversity of waterfowl. This biketour will take you through this magnificent area and cross roads where cars are not allowed. We now pass several canals that used to be part of the Old Hollandic Waterline, a water-based defence system. The enemy was stopped by inundation of the land. Through narrow villages and roads we get to the town of Woerden. This town was part of the defense lines of the northern border of the Roman Empire. 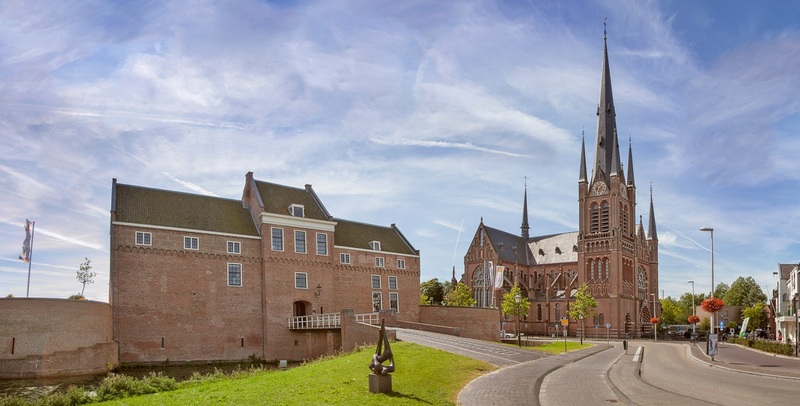 Woerden has a long history and used to have defensive walls. The star-shaped structure and the old moat can still be admired today. Now it is the place where Gouda cheese is made, stored and sold! In Woerden we will visit a genuine cheese warehouse. In a 45-minute guided tour you will learn everything you always wanted to know about cheese: the cheese making, storage and trading.This is als the place where we will stop to have lunch and take a longer break. On Saturdays we will visit the cheese market. From Woerden the route goes into the countryside and we follow the Lange Linschoten. This is an old peat river that originates from the swamp that used to cover this area. Enjoy the willows and the water! Somewhere hidden in the polders we come to see a genuine cheese farm (optional activity). Here you will be invited to taste and buy real Gouda cheese. On our way back we will sit and relax for a cup of tea or coffee before we head back to Gouda where this tour ends. 45-minute guided tour at the Cheese Warehouse in Woerden - learn everything about the story of Gouda Cheese making!